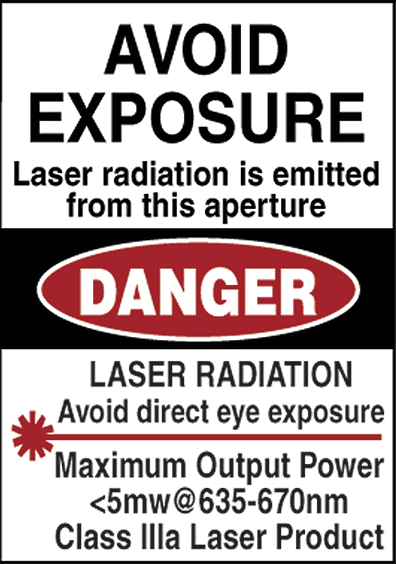 Marine Products | Laser Tools Co. The use of Alignment Laser in Marine navigation can accurately measures the range of vessel position and heading. Many new and unique systems have taken marine navigation into the 21st century, especially with the ever growing laser industry market. Ask us about our underwater specialty and laser guided docking system. 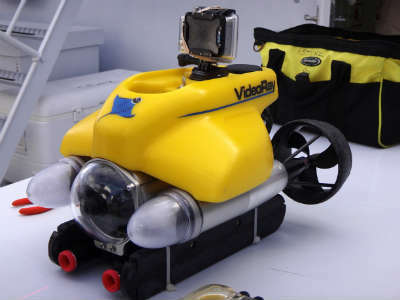 Underwater Lasers are intended to be used by ROVs (Remote Operate Vehicles) using video images to take general measurements. By paralleling two laser beams that are calibrated for set distances, accurate measurements from video images are possible. Two models of the Sea Beam Laser™ are available and can be customized with green and red diodes or with dots and lines. This will make the perfect scaler for any underwater application. Above is a video showing our laser capabilities with VideoRay ROV’s from the deployment of Texas A&M University-Corpus Christi micro-ROV at Liberty Ships artificial reef from Schmidt Ocean Institute research vessel Falkor on October 12, 2012. 1. 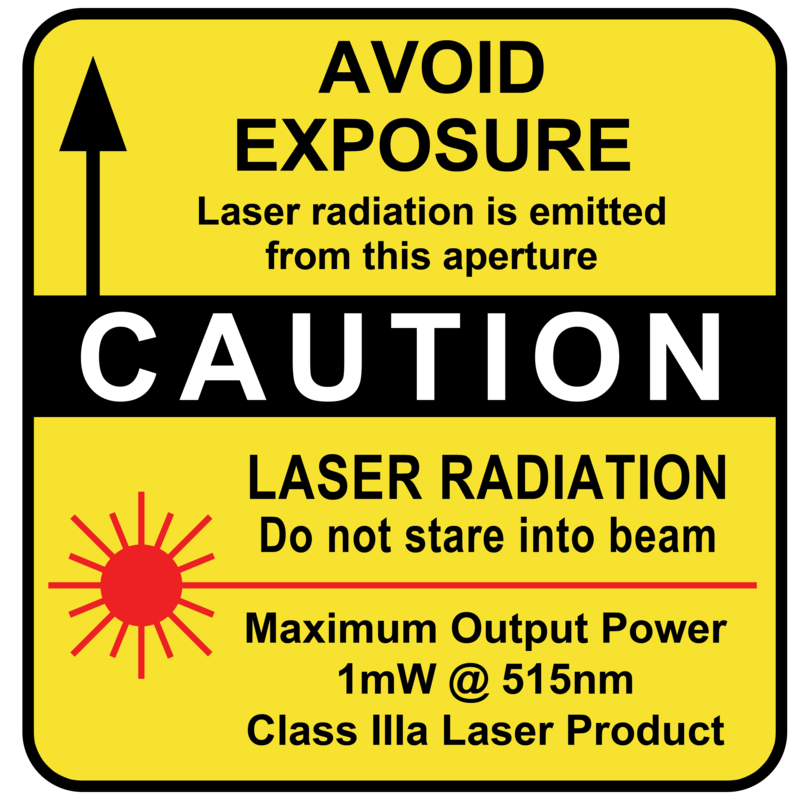 Use two or more lasers spaced 75mm apart. 2. View the laser lines or dots superimposed over an underwater feature or biologic. 3. Apply the 75mm reference spacing to the object for scale size. This minimizes perception errors. the size of objects without depth perception errors. The Sea Beam™ projects two lines 75mm apart onto underwater objects. This provides a precision scale for size reference when viewed by eye or camera. The Sea Beam Laser™ attachment for ROV systems is a plug and play measurement device that can be attached or removed from the vehicle in seconds. The laser accessory projects two vertical “fan” beams precisely 75 mm (3 in) apart for scaling, estimating, or measuring applications. The “fan” nature of the laser beams fills the entire field of view of the ROV camera so that no tilting mechanism is necessary. The Sea Beam Laser™ can be used with existing VideoRay ROVs and accessories such as a manipulator arm and sonar systems. The Sea Beam Laser™ with red dot makes the perfect scaler for marine biologist, fish farms, reef surveys and structure sizing – Remember; you don’t want to scare the fish away when you are scaling the reef. The Sea Beam Laser™ with lines will be the perfect fit for scaling and dimension sizing. FITS ALL SIZE BOATS AND ALL SIZE DOCKS! The Bow Laser emits a Crosshair Beam that’s visible on the Special Docking Target. This shows that your vessel is CENTERED as it approaches your slip. The Stern Laser Line shows that your vessel is STRAIGHT as you approach your slip. This means the stern won’t swing and bump the dock sides. You know where the Bow and Stern of your vessel are at all times when docking. Works with single or muti-engine vessels. Lasers are visible over 200 feet. Fine line position adjustments optional. Stern facing systems available, too. Choose for best viewing, docking and embarking from narrow slips and maximum maneuverability. Use for twin and single engine vessels of any length. Suitable for bow forward docking. 3 – PC50, 50′ Power Cables with Lighted Switches Mounting Hardware is included.